Taeniasis/cysticercosis, schistosomiasis, and food-borne trematodiasis have been the major public health problem particularly in Southeast Asia. Data on these diseases for Southeast Asian countries were presented (excluding countries like Brunei Darussalam and Timor-Leste where data was hardly available). Among the countries that indicated high prevalence of such diseases are Lao PDR, Vietnam, Cambodia, Thailand, Indonesia, and the Philippines. Prevalence of taeniasis/cysticercosis (>10 %) was seen in countries like Cambodia, Indonesia, the Philippines, and Vietnam. Schistosomiasis was found highest in Khong Island, Lao PDR (26.8 %). It was also reported in few other countries but with lower prevalence. Vietnam and Thailand demonstrated high prevalence of clonorchiasis, 32.2 % and 23 %, respectively. The prevalence of opisthorchiasis was found very high especially in Lao PDR (85 %) and Thailand (70.8 % in Khon Kaen District and 64 % in central Thailand). 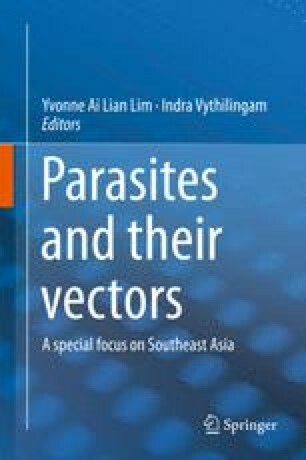 Lao PDR was also shown as having the highest prevalence for fascioliasis (13.8 %) and paragonimiasis (51 %) compared to other countries like Vietnam and Thailand.